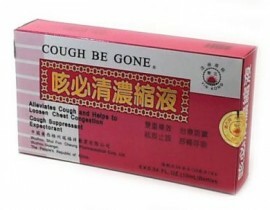 In Chinese Medicine, this is indicated for wind-cold conditions, with cough and phlegm. Purified water, loquat extract, menthol (Bo He), citrus peel (Ju Pi), ginger (Sheng Jiang), almond oil (Xing Ren), licorice (Gan Cao) and honey (Feng Mi). Packing:10ml (0.34oz.) X 6 bottles per box.